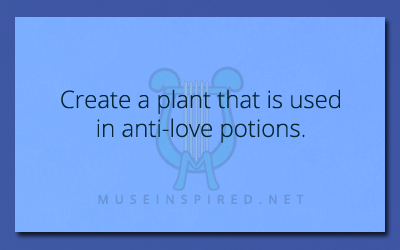 Fabricating Flora – Design a plant that is used in anti-love curses. Fabricating Flora - Create a type of moss that is attracted to metallic objects. Fabricating Flora - Create a plant with blossoms that glow during the full moon.